This will be an action packed week where we take you to amazing places and do loads of fun & challenging activities. Discover new activities and challenge ourselves to the full. So remember, this isn't a week of chilling by the pool, it's activities the whole time, well almost! Our aim is to show you the very best that Spain has to offer, it's good, it's very good. You will be encouraged to join us for all the activities. These may include: Rock climbing; Mountain walking; Ridge scrambling; Canyoning; Abseiling & Via Ferrata. 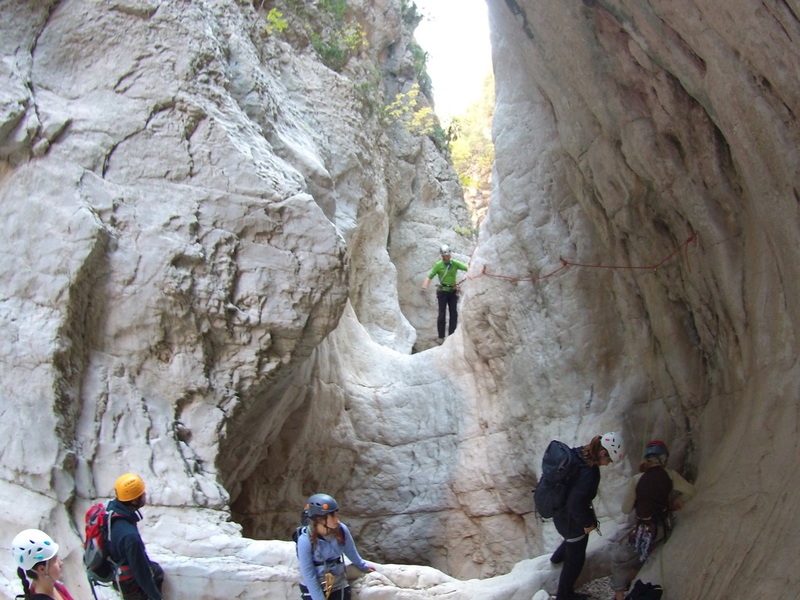 We can also offer a day on a beautiful beach, only accessible by canyon descent with ropes!